There are so many colours to choose from when it comes to a permanent lip treatment and to achieve the perfect pout you need a colour that is suited to you, after all, everyone is different. Whether you are looking for something bold and vibrant or subtle and natural, here’s three things to consider and talk about in your Permanent Makeup Consultation. Finding the perfect colour for you will depend on your existing lifestyle and what other makeup you like to wear day to day. Think about what you like to do in your spare time, what would be appropriate for your job and what lipsticks you wear now. Always bring your favourite lipstick with you to your consultation to give the artist the best idea of what you’re looking for. If you like something very natural that will go with any makeup look or you just want to make your lips look perfected, then you may want to try a colour to compliment your natural shade. You can even go or go 1 or 2 shades darker to give you more definition without committing to anything too bold. If you rock a red lip on a daily basis and always have done, go for it! You’ll never need to check for lipstick on your teeth again. It’s vital to choose the right colour for your skin tone, there are so many variations but your Permanent Makeup artist will advise and analyse your skin to make sure the colour you decide on is perfect. As a rule of thumb when it comes to makeup, it’s thought that fairer complexions suit cooler colours on the bluer end of the spectrum whereas darker skin tones work best with warmer colours. But it’s important to be able to recognise your skin undertones too. Everyone’s skin has either a more yellow or pink undertone but your permanent makeup artist will be highly trained in colour theory so they’ll be able to guide you towards the best colours that will work for you and your complexion. Take as long as you need to pick the colour and decide on the right one for you. 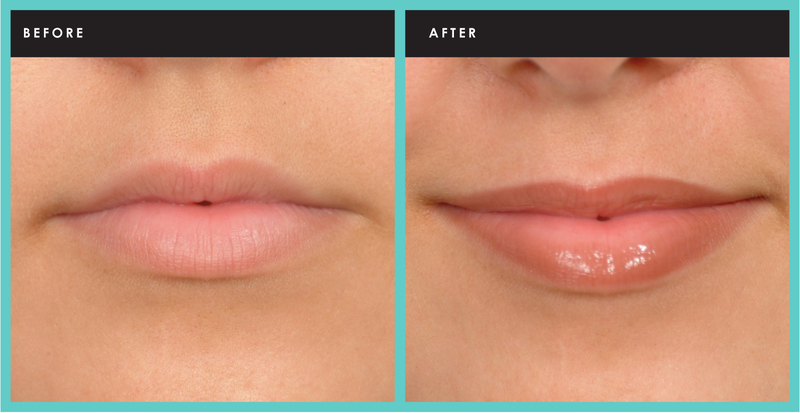 You may have beautifully full lips and just want to ramp up the colour of them, or you may have thinner, less defined lips and you would like them enhanced to make them look fuller. 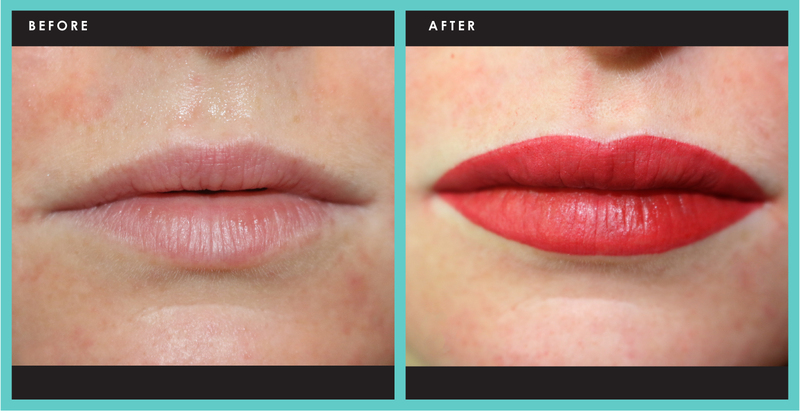 (Your lips can be even be contoured to give you the illusion of fuller lips.) As with a traditional lipstick, the colour of your natural lips play a big part in how the colour will appear once healed. The Permanent Makeup Artist will know this and be sure to let you know exactly what can be achieved so you know what to expect from your treatment. If it’s an uneven lip shape you want to correct, a colour can be matched to your existing lip colour to create the perfect base for any further colour should you wish to go a little bolder. Use these pointers when thinking about your Permanent Lip Treatment and you’ll be well on your way to achieving a perfect lip look! If you want to enquire about an appointment with Karen Betts or one of her Elite Artists call 0844 801 6838 for arrange a call back for more information.